Why the PA State House Bill 18 is bad for Pennsylvania. With the new legislative session that began in January of this year, a bill was introduced in the House of Representatives that is essentially a new but somewhat more limited version of old legislation that narrowly failed. Unfortunately, this present bill seems to be gaining traction, and could cause problems with getting appropriate treatment for many injured workers if it ultimately becomes law. Click to read the full bill. The bill is House Bill 18, which was introduced by Representative Mackenzie (R – parts of Berks and Lehigh). This legislation requires the Department of Labor and Industry to select a prescription drug formulary for the purpose of resolving issues related to drugs prescribed for work-related injuries. A prescription drug formulary essentially creates a limited list of medications that are allowed be prescribed for injuries, and prohibits the treating physician from using their own judgment in prescribing medications not on the list. This bill is being fast tracked. A Public Hearing already took place on February 15, 2017, and the proponents of this bill presented it under the guise that it is intended to address the “opioid crisis“ by imposing “evidence-based drug formularies” on medications prescribed to injured workers. This bill was referred to House Labor & Industry on 2/13/2017. This bill is very similar to House Bill 1800, which was also introduced by Rep. Mackenzie last year. That bill sought to have the Department of Labor define what constitutes “reasonable and necessary treatments, services, products or accommodations” based on “evidence based medical treatment guidelines” selected by the Department of Labor. This was a broader version of the current bill, which would have limited treatment options of all types, not just prescriptions, for work related injuries. This bill was opposed by a number of groups, including the Pennsylvania Bar Association (PBA) and the Pennsylvania Workers’ Compensation Section of the Pennsylvania Bar Association. It should be noted that the Pennsylvania Workers’Compensation Section is composed of an equal number of attorneys representing employers and insurance carriers, and attorneys representing injured workers, along with some Workers’ Compensation Judges and members of the Worker’s Compensation Appeal Board. Eric Betzner of our office currently serves as treasurer of the Workers’ Compensation Section of the PBA. 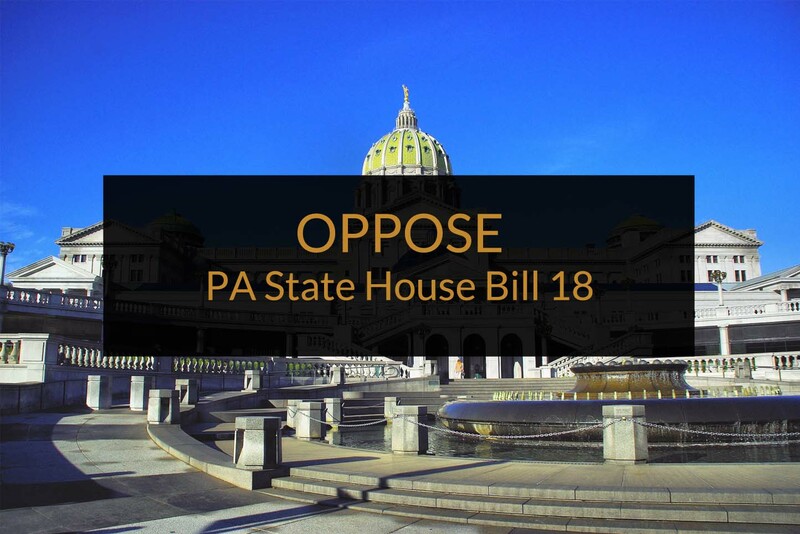 The PBA and the Pennsylvania Worker’s Compensation section has also opposed House Bill 18. In comments by these groups that were submitted in opposition to this bill, it was noted that some of the problems associated with it are the potential for actually increasing prescription costs in the program; cost shifting to private insurance or government agencies; the loss of individualized treatment due to the imposition of “one size fits all” prescribing of medications; regulatory interference with medical decisions (which may generate malpractice concerns); reduction in the number of doctors willing to treat injured workers and the uncertainty surrounding the variability and effectiveness of generic drugs which the formularies may dictate. We believe that this most recent attempt to further limit treatment rights for those injured at work should be opposed. Our elected officials should not be fooled into believing that this is primarily designed to address opioid issues and should see it for what it is, an attempt to limit treatment options available to injured workers. We encourage all locals to voice their opposition to this proposed bill to their elected officials.